If you're caring, responsible and detail-oriented, you've got the foundation for a career in nursing. At EAC, you can get the education and training you need too! We've been training in the nursing field for over 30 years. We offer four programs in nursing. Our two certificate programs (Nursing Assistant and Licensed Practical Nurse) give you the essentials you need to enter the field quickly. Our Associate of Applied Science degree goes more in-depth, but emphasis is still on entering the workforce after your training. The final program is an Associate of Arts degree in Nursing, a foundation for transferring to a four-year college to earn your bachelor’s degree. Employment opportunities are expected to be excellent for nurses and nursing assistants. As the number of older people grows, and more nurses retire, many more new jobs will be open. Jobs will be open in hospitals, doctor’s offices, nursing care facilities, and outpatient care centers. Entry into the nursing program requires a separate, prior admission. This program prepares you to function as a practical nurse caring for acutely ill patients under the supervision of a registered nurse. Licensed Practical Nurse (LPN) gives basic nursing care and assists other members of the health care team. On successful completion of the program, you will be eligible to take the National Council Licensure Examination for Practical Nurses (NCLEX-PN). This program prepares you for an entry-level position as a nursing assistant. Emphasis is on basic patient care skills, based on the knowledge of universal precautions, asepsis, basic human needs, body mechanics, treatments and procedures, patient admission, transfer, discharge, and eldercare. This Associate of Applied Science degree program is designed to prepare you for beginning employment as a staff nurse giving direct care to patients. 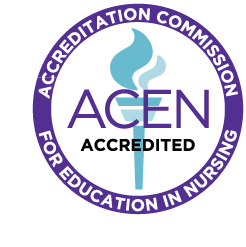 The program has received approval by the Arizona Board of Nursing. On successful completion of the program, you will be awarded the Associate of Applied Science in Nursing degree and will be eligible to make application to write the National Council Licensure Examination for Registered Nurses (NCLEXRN). This Associate of Arts degree program meets the requirements for the first two years of a four-year bachelor’s program at a college or university. That means you can transfer in as a junior. Please consult the official transfer guide to tailor your curriculum, since degree requirements differ between universities.